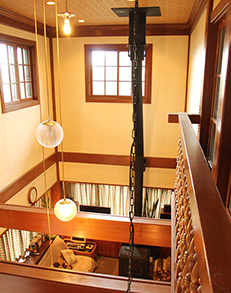 Hara Pension is located halfway up Mt.Zao at 1,000 meters above sea level. There is plenty to do here, so plan on several days if you can. You can enjoy skiing, bird watching, hiking and jogging, to name a few. Mt. Zao is famous not only for skiing, but for its crator lake called "ZAO-OKAMA". 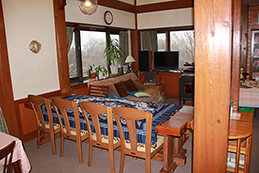 It is a 15 minute drive from Hara Pension. The attached picture of Okama is from a paraglider. click here. Please come relax in our simple but comfortable guest rooms. 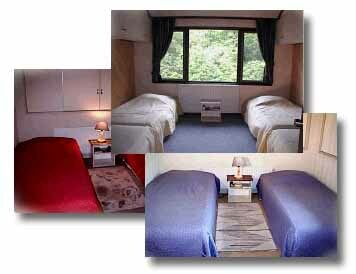 We have 7 rooms for 2-3 people; 1 room for 4 people. We can house a total of 25 people at one time. So please bring your family and friends for a wonderful vacation together. The dining room and living room are available for you to relax, reading, listen to music, play games, watch movies, or just sit and chat. We also have Mac computers for you to stay connected. The snow begins to melt at the end of March. Spring is fully here by the middle of April. Zao is beautiful in the spring. Many Japanese enjoy the mountain vegetables and bamboo shoots of May and June. Zao's "rengetsu tsuji" are in full bloom the middle of June. Zao is a great place to get away from the heat of summer. 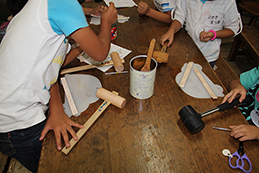 There are many different activities available. Some of which are: paragliding, hiking, bird watching, cross-country running, and relaxing. The fall colors of Zao are gorgeous. Many tourists come even for the day just to see the wide range of reds, yellows and oranges of the trees. 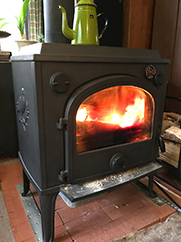 Click here to see a few photos. Skiing. Hara Pension is located right next to the cross country trail. Zao Liza Ski Area (down hill and snowboarding) is a 2-3 minute drive away. Zao Onsen Ski Area is only 20 minutes away. "B&B Plan" - Dinner is not included. Prices are 6,480 yen. All listed prices are including tax. Lessons are free of charge. 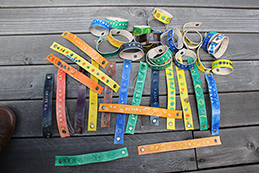 There are material fees for the Leather Craft.800yen per person. 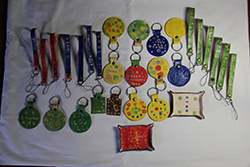 These are some sample items that kids has made. 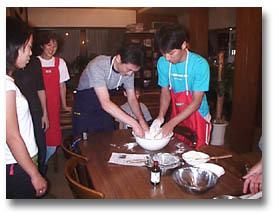 After dinner, about 8 pm, learn how to make scones. After mixing all the ingredients, the dough is put in the refrigerator over night. 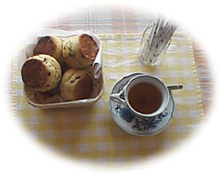 In the morning, the Hara's will bake the scones and serve to you for breakfast. They are delicious! Please plan about one hour. The participation fee is 1000yen per person. When you would like to stay at HaraPension. Please inform me of an inquiry to follows.I accept a reservation with aquery form if it has a vacancy.I will send you a e-mail within two or three days. Copyright © 2018 HARA PENSION All Rights Reserved.